Tom Goldenberg is chief technology officer at Commandiv, a combined stock and crypto trading platform providing investors with automated trade recommendations and rebalancing tools. The New York Times economist Paul Krugman keeps bashing bitcoin. Why would you trade such a volatile asset, he asks, if it lacks fundamentals? Let’s take a step back. How important are fundamentals to investing? When dealing with public stocks, we have access to a broad array of company data – revenue growth, price-to-earnings ratio, etc. From my own observation, I’ve seen that while fundamentals can be useful, they usually aren’t enough to decide which stocks to trade. 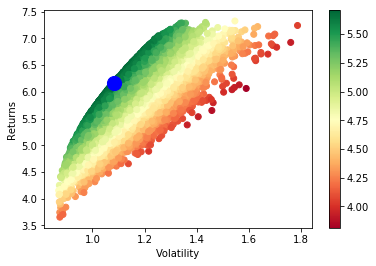 A few months ago, I saw that a trader asked the quant community on the investment-algorithm platform Quantopian to build a successful trading strategy with only fundamental data. The results were disappointing. In other words, fundamentals are good, and there are surely some good strategies that use them. 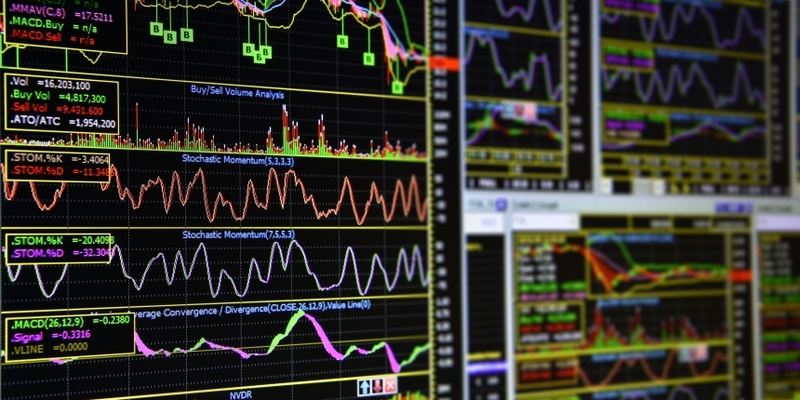 But many professional traders are looking beyond fundamentals to make trading decisions. So, the absence of traditional fundamentals from crypto shouldn’t by itself be a deal-breaker. Another way of assessing an asset’s risk and potential reward is by looking at historical price data. We can do this with stocks as well as cryptocurrencies such as bitcoin and ethereum. A key term when it comes to assessing price data is the Sharpe ratio. This is a score of the asset’s return on investment over its volatility. The goal is to maximize this value. A good Sharpe ratio should be above 1.0, usually. Because all of the cryptocurrencies have seen such massive returns, their Sharpe ratios will also be above 1.0, generally. However, some are more volatile than others. Using the Sharpe ratio as a tipping point, we can determine what the best blend of crypto assets is for a preferred level of volatility. This is similar to how portfolio managers determine how to divide a portfolio into buckets of U.S. equity, foreign equity, and bonds. The right blend will minimize volatility for a desired return rate. My business partner and I performed this type of analysis on a group of crypto assets, and found target allocations for each of the assets. If you’re interested in doing this, there is a pretty good explanation here. However, what we realized when we talked to more experts is that our research had some gaping holes. For one, most cryptocurrencies don’t have a very long history, meaning that the data is likely to be inconsistent. Also, we noticed that all crypto assets were highly correlated with one another, something that was seen again in the latest crypto dip. Because of the high correlation, it would be hard to advise a particular allocation of assets. Daily active users (alternatively, daily active addresses, or DAA) – how many users use the crypto asset in transactions on a monthly basis? Finally, when we think about longstanding cryptocurrencies like bitcoin or newer initial coin offerings (ICOs) and altcoins, there is always qualitative assessment. This means different things for different people. Ultimately, these are not foolproof, though. Some crypto influencers have started offering “white paper as a service” to companies, and many shill endorsements in exchange for some kickback. My partner and I were even approached by someone who thought we should do an ICO. In his explanation, he explained how to present all of these aspects in the right way. Then he closed, “The blockchain part is not that hard. I can show you info.” Caveat emptor.